Why is there a new Postal ID when we already have one? 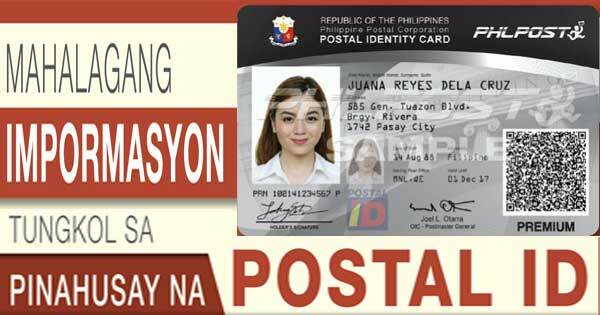 The reason why the Philippine Government issued another version of Postal IDs is because the old version is just a paper laminated which can easily be falsified and duplicated. As we all know, Postal ID is something that proves our identity and residency so it contains private information. With this as a problem of breach of copyright, we strongly suggest that you update your Postal ID to a newer version. How to acquire the New Postal ID? -Once the documents are fully checked, you may already proceed to the nearest Postal ID capturing station nationwide to register your fingerprint and for the picture taking. How much does the new Postal ID costs? An Application form will be given to you once you finished applying for the new Postal ID. How long does it take for the Postal IDs to be delivered? Unless it expires, your old Postal Id is still valid and operational. Let others know about this new Version of Postal ID by sharing this issue to them.